From the creators behind Hellsing comes a thrilling story where history and fantasy collide. Join figures from the past in an epic battle of good versus evil! ShimazuToyohisa, a samurai from the historical Battle of Sekigahara, was moments from death when he stepped through a door. Transported to a world both like and unlike his own, he finds himself in a new war and a new fight—but he is not alone. By his side, Japan’s most notable historical figures Oda Nobunaga and Nasuno Yoichi will join him in this new world at war. 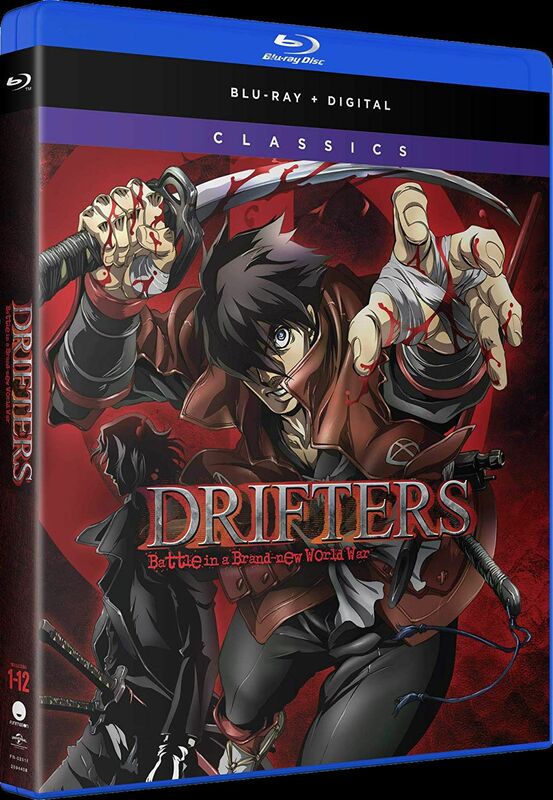 As they discover more about their roles as “Drifters,” they’ll face the “Ends,” a group of Europe’s most brilliant and deadly minds led by a man cloaked in darkness who seeks to bring destruction and devastation to this world. What awaits these heroes of old? Are their bloodthirsty ways the only hope for victory, or does something worse than death await them?